I know that I am an intermittent writer at best. Over the next few weeks I am going to attempt to resolve that. 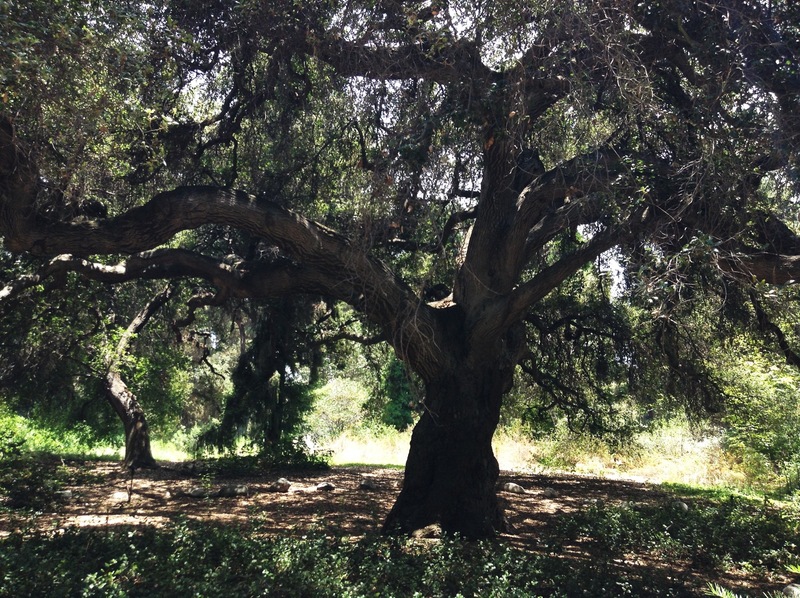 I am going to try to write two or three posts a week on this blog and on TDGP. It may be cheating a bit, but I am going to count this post as my first one of the week. At this point, it seems like it will be pretty daunting. I have a lot of ideas through the week, but for whatever reason rarely get around to writing about them. I hope to make a habit out of writing. My wife and I recently added a new member to our family. 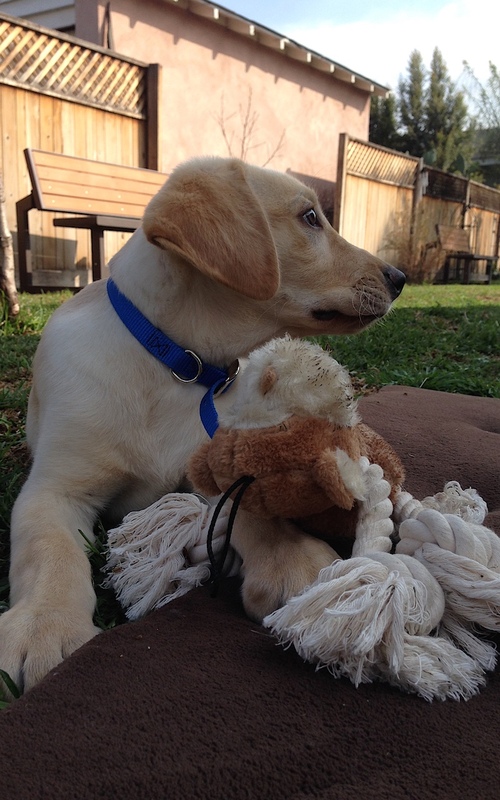 Jasper is a Labrador Retriever puppy. He was born on November 29, 2014, so he is about 11 weeks old. We got Jasper as a mutual valentine’s day gift, and he finally got to come to his new home yesterday, on Feb 21. Jasper seems to be adjusting well. He slept through the night on his first night home, not waking up until after 5:00 A.M. when he had to use the restroom. I wouldn’t call it a full nights sleep, but it was better than we expected. Jasper is playful, like all puppies are. He is ready to run at any time, but is still learning how to do things like fetch. He seems to love running through the yard. I imagine it is a huge space for him considering that he has been in a kennel the last couple of weeks. Not everything is perfect. He is more comfortable with his own feces than I would like, but some research shows that this is normal with dogs. He is semi-house trained, only a few accidents. But it is not completely his fault as it has been rainy today and he didn’t get much outside time. I am impressed that I can take him outside and he knows to pee. He is doing very well. Jasper is a friendly and happy puppy and a welcome addition to our home. So we are a day shy of 5 weeks. The garden is doing well. 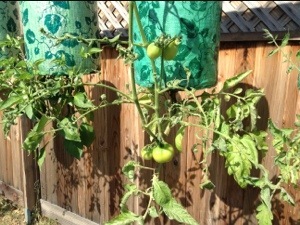 The tomato and the lemon cucumber plants that were my original hanging plants are both fruiting. 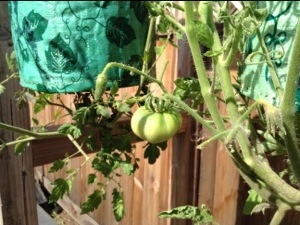 I don’t know if that is according to schedule or better, it is just nice to know that my plants are fruiting. 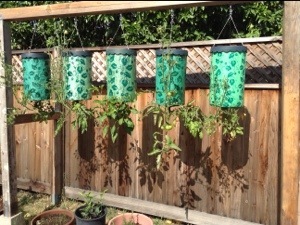 The others that I planted are starting to flower, so the fruit won’t be far behind. 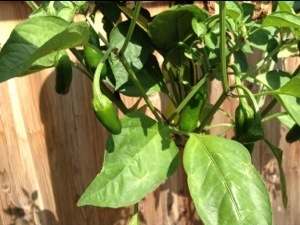 As a matter of fact, my jalapeño plant is fruiting very well right now. I will let you know how hot the chilies are when I make my first batch of salsa. 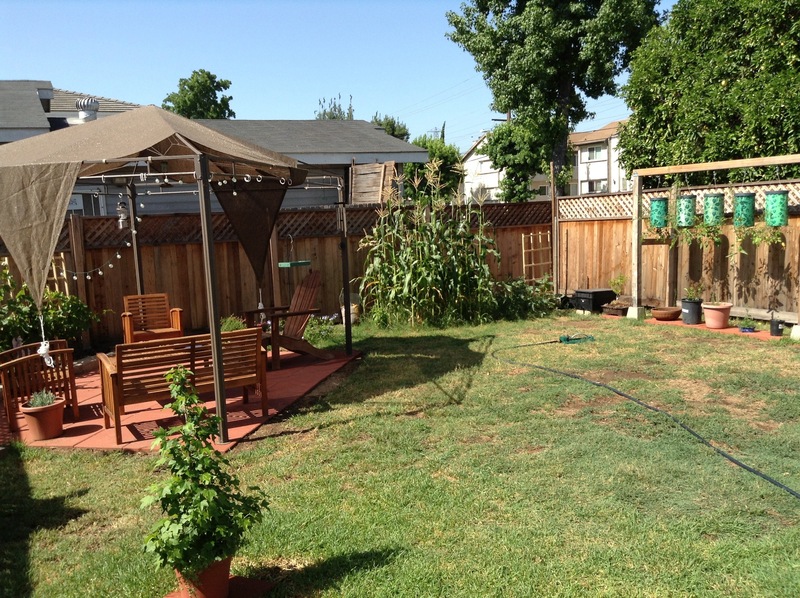 It is interesting to me to note that the plants are all still growing up. I wonder if the weight of the fruit will weigh down the plants? In another couple of weeks we should know.